If your business runs on a recurring revenue model, like a SaaS or many productized services, then your number one priority should be keeping customers subscribed. You can focus on reducing churn by uncovering the most common reasons people cancel and fix those things. You can improve your onboarding to make sure you’re not losing customers while they’re in a “trial” mindset. You can hire a “customer success” person to do… Does anyone know what a customer success person actually does? As far as I can tell, this role involves a mix of cheerful emails welcoming new customers and responding to occasional mentions on Twitter. Make the experience of using your product get better with time. Maybe the key to improving your customer lifetime value is to actually improve your customer’s lifetime. Incentivize them to stay onboard by delivering benefits that get exponentially better wth time. Most recurring products solve the problem once, then repeat the same solution for X number of months. Yours could build a solution that starts by solving the immediate need but enhances and becomes more and more “essential” the deeper the customer is in their lifetime. I’m not talking about artificially delaying benefits. I’m suggesting you use time to your advantage and find ways to leverage time to make your solution even better. Remember—Your customers intend to stay awhile. Few customers decide to purchase a recurring service with the intention of canceling quickly. They want your solution to work over the longterm. They just need to see the vision of how that will happen. Want to improve customer lifetime value? Improve your customer’s lifetime. For the first year, we essentially delivered the same set of benefits every month for as long as the client stayed onboard. This worked well enough for a while. Content is an ongoing need, so if the client wants to keep their publishing schedule going, then our solution keeps working. But we can do better than that. Since content marketing is inherently a longterm strategy, we should be optimizing for longterm benefits. So we launched what we call our 12-Month Roadmap. It’s a document that we give to clients on day one, which lays out all of the enhancements we plan to build into their content strategy over the coming year. By communicating this up-front, we’re sending the message that your Audience Ops service gets better with time. Our core monthly blogging and content promotion service remains the same. But we’ve added enhancements that could only happen once enough time has gone by. We call these enhancements “Long Term Multipliers” because they’re designed to make the benefits of content marketing exponentially better. Once we’ve published several months worth of articles, we can pick the best performing posts and line them up in a “Best of” newsletters campaign, which is sent to new subscribers. This enables the best content to be re-surfaced to new (warm) subscribers, without it getting buried in the archives. After we’ve done a few customer interviews, we write case study articles, which we can later turn into an email sequence that the client can use in their lead nurturing funnel. Since we create an email course as the primary lead magnet during the first month, we can run A/B tests on those email subject lines and activate the winners several months later. Periodically throughout the year, we search for questions on places like Quora and LinkedIn that relate to articles we’ve published. Our writers then draft thoughtful responses and we provide these to the client in a document we call “Ready-to-post Community Content”, so they can post those responses as themselves. We can only do this once we’ve built up an archive of content and we can identify a significant number of threads to respond to. We’ve always done Content Upgrades on every post. But we’ll also gather the best articles from one category and repurpose them into an eBook, which can be launched as a new lead magnet later in the year. This helps keep things fresh for your audience. 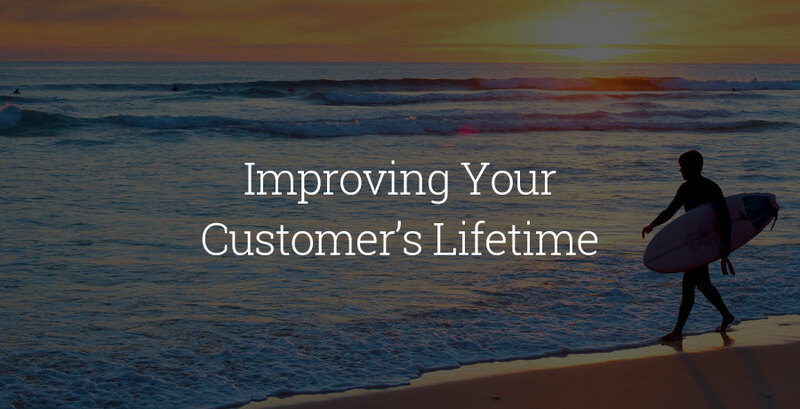 So how can you improve your customer’s lifetime the longer they stay onboard? Offer advanced optimization (done for you or guided) after X number of months. Invite them to an exclusive private community just for “advanced” (longtime) customers. Offer personalized audits and recommendations to get more from your product. Offer exclusive VIP discounts on other products only for longtime customers. Access the 12-month roadmap document that we provide to our clients on Audience Ops, for you to use as inspiration when looking for ways to improve your customer's lifetime.